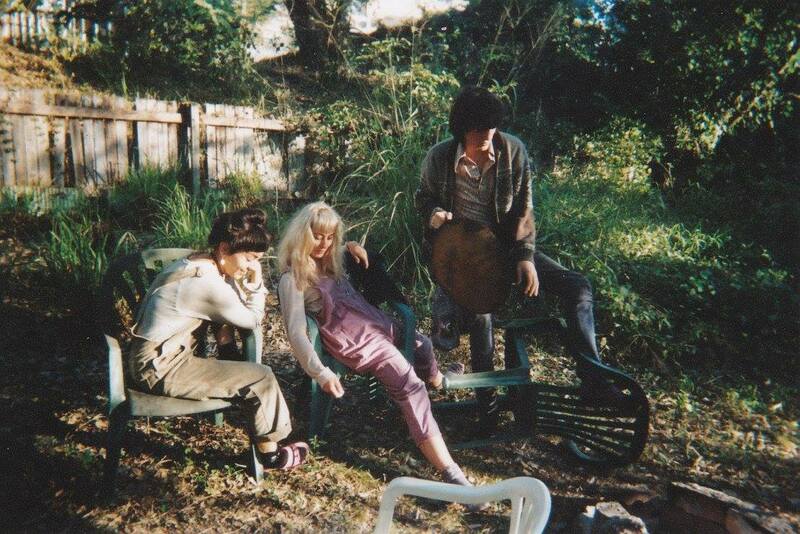 Brisbane's bent trio Bent are following up debut release Non Soon with a self-titled 7" on Moontown Records - and they have totally upped the ante. Four jagged shards of post-punk, keen on atonality, brevity, and cheeky chaos. 'Skeleton Man' has more bristling intent than past sounds, courtesy of Glen Schenau's nerve-wracking frayed fretwork and Skye McNicol's octopi-in-tantra drumming. The focus is still Heidi Cutlack's broken vocals, roping around in cut-glass whispers and banshee wails, the bass thick and unwieldy yet intent on providing a sinuous frog-march to the edge - the cracked laughter pushing things over. 'Where's The Fire' simple in its tightly-coiled implosion - no need for smoke when the intensity is burning within. 'Sock Holes' is reined in, a quiet moment of wasted sweatbox ennui, with bruises, stains, holes and tears along the seam. When Bent are so broken, why fix it? Grab Bent here.